Jennifer's expertise is in strategic communications and storytelling. She's a native New Yorker, who brings a social justice lens to her work. She previously managed communications at a human services nonprofit, and her background is in public policy and government. Jennifer earned her BA/MPA from NYU. After graduating with a B.A. 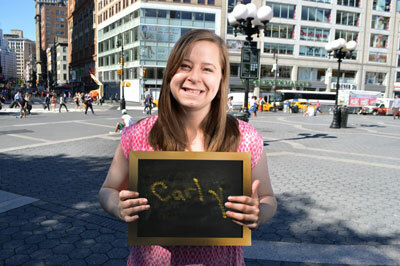 from Temple University, Carly joined the Peace Corps as a Special Education Volunteer in Jordan. She then worked in a Rockland BOCES school for two years as a Substitute Teaching Assistant. After graduating from University at Albany with a B.S. in Informatics and a concentration in UX/UI Design, Adina then joined the United Nations as a Graphic Design Intern where she was exposed to creating accessible documents for a more inclusive workplace. She joined INCLUDEnyc because she believes in more inclusive society where everyone deserves the same equal opportunities. 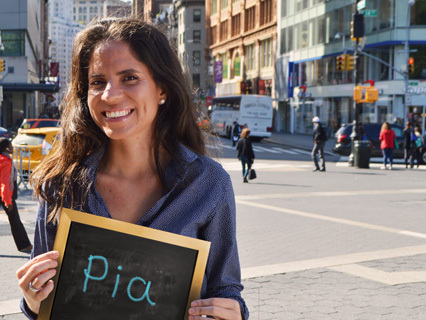 Pia is a Spanish language journalist with a Masters in Communications and Political Science from Universidad Gabriela Mistral in Chile. She worked as a reporter for El Diario La Prensa and NY1 Noticias, two of the largest Latino press organizations in the city for many years before joining the INCLUDEnyc team. She is excited to manage our efforts to reach and help the Latino community.